We import our own alternative range of fast moving parts for the aftermarket. We have identified reliable suppliers/manufacturers to ensure quality product at competitive prices. Our range of spares is anything form engine, transmission, front axle or hydraulics parts. Everything you could need to fix your beloved Massey. 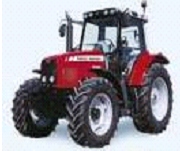 We also can help you with genuine parts for your Massey Tractor.